Is my watch insured with you? Yes, your timepiece is fully insured up to £20,000 in value, from the moment it leaves you in our FREE Royal Mail Special Delivery envelope, right up until you receive the watch back from us. Do you charge for estimates or quotations? No, our quotation service is totally FREE and you are under no obligation to proceed with the work. If you choose not to proceed after receiving the quotation, there is a small admin fee of £25 to pay, and the watch will then be returned back to you in its original condition. 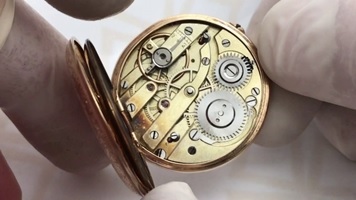 Are you able to repair vintage pocket watches? My watch face / glass has broken, but it is an unusual shape. Can you repair this? Yes, we are able to cut a glass if required to fit almost any watch. We will need to advise on a cost once we have seen the timepiece. I have a highly water resistant watch, can you guarantee this once the battery is replaced? We have the latest equipment here to ensure that once your watch has had its battery replaced, a test will be run to report the water resistance level has been maintained. You will receive a printed receipt to show that the test was successful. Do you offer a guarantee with repairs? Yes, 12 months on all repairs (unless otherwise stated), very occasionally things will need adjusting after a repair. We would like to reassure you that, as a four generation family business, we are here to look after you at all times. How do I pay for my repair if I decide to proceed with the estimated work required? Once you have agreed, and not before, to the work required to repair your timepiece work will commence. We may ask for a deposit from you, and will ask for the balance payment once the work is complete. One of the team will call you at a convenient time to ask for payment, and then your time piece will be posted back to you- of course fully insured. 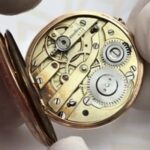 Are there any watch movements or brands you cannot repair? Cylinder movements, relating to both wrist and pocket watches. We are unable to work on Cylinder movements as shown above. I have a replica copy watch. Can you repair this? No, we are unable to work on replica copy watches.